Specially trained doctors will be able to legally issue prescriptions for cannabis-based medicines for the first time in the United Kingdom starting Nov. 1, marking an important milestone for the medical marijuana industry in the country. 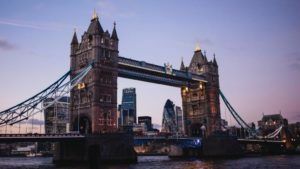 The law introduced in the U.K. Parliament today will ultimately pave the way for one of the largest MMJ markets in Europe, according to Stephen Murphy, managing director of United Kingdom-based Prohibition Partners. “The government has proposed a very considered approach to legalization and regulation that seeks to introduce medical cannabis responsibly by initially putting it in the hands of specialists,” he said. The law would not limit the types of conditions that can be considered for treatment, and doctors would no longer need to seek approval from an expert panel for patients to access medical marijuana. A proposed amendment effectively moves “cannabis-based products for medicinal use in humans” from Schedule 1 to Schedule 2 of the Misuse of Drugs Regulations 2001. The amendment would be applicable to England, Wales and Scotland, while the Department of Health in Northern Ireland intends to make separate legislative provisions to mirror it. Smoking of medical cannabis would be banned, except for research purposes. Is or contains cannabis, cannabis resin, cannabinol or a cannabinol derivative (not dronabinol or its stereoisomers). Is produced for medicinal use in humans. Is a medicinal product or a substance or preparation for use as an ingredient of or in the production of a medicinal product. Only products satisfying all three points of the definition are included in the rescheduling. A report by a council studying medical cannabis in the U.K. made 11 recommendations to the government in early September. All were accepted, although some aspects will be included in a longer-term review, according to the government. Marketing authorizations are granted after quality, safety and efficacy have been established for certain indicated uses. Any medicines with a marketing authorization – including cannabis – can be prescribed by any medical professional, such as a general practitioner. Most medical cannabis products today would fall in the “unlicensed” category, where prescriptions can only be made by a doctor on the Specialist Register. Even if the product is unlicensed, however, it can be used in clinical trials – in line with other Schedule 2 drugs – provided that the necessary legislation surrounding clinical trials is also complied with. Although Murphy says the market could reach over 1 million patients eventually, the actual number of people who will have access to medical cannabis products in the early days of the industry will be quite small. Deepak Anand, vice president of Toronto consultancy Cannabis Compliance, said that’s because physicians will be required to have exhausted all conventional medicines. “It’s a massive caveat,” he said.